The New Ishqbaaz Love Theme All Set To Capture Hearts! Ishqbaaz season 2 has kick-started with a leap, where the next generation of the Oberoi family is ready to re-live the tashan, love stories, and eye locks and passionate romance which are the trademark of 4 Lions Films. The story picks up with Shivaansh, the son of Shivaay and Anika is now a Bollywood star. He too somewhere follows his father’s footstep and is all ready to get hit with destiny’s choice of the perfect lady who will be his life partner, just like Shivaay’s Anika. Nakuul Mehta who essayed the role of Shivaay is seen playing the son, Shivaansh, giving fans the moment to re-live both the beautiful memories of Shivaay and Anika, and new moments of Shivaansh and Mannat (essayed by Niti Taylor). As we have reported previously, Niti Taylor, earlier seen on Kaisi Yeh Yaariaan and Ghulam joined the cast of Ishqbaaz with a dhinchak entry as Mannat Kaur Khurana. While fireflies filled the world of Kaisi Yeh Yaariaan, the song Jaan-e-Jaan is now filling the seeds of an upcoming passionate love story for Shivaansh and Mannat. Yes, you’ve guessed it right, the new theme of this new jodi has been released by Harneet Singh, who happens to be the screenwriter of Ishqbaaz series. 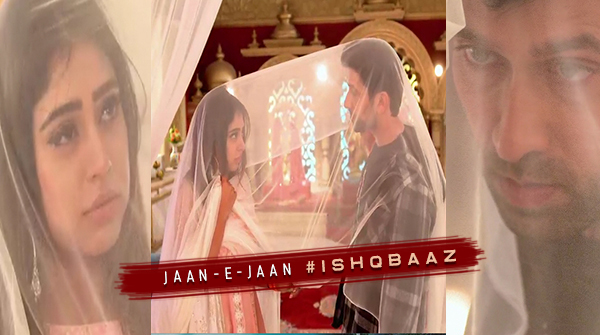 Jaan-E-Jaan is the latest happening tune where ManSh (Mannat-Shivaansh) are seen romancing under the dupatta and reminding us of Shivika’s (Shivaay-Anika), O Jaana which had made a special place in our heart. Although the tunes are similar, the lyrics touch on the lonely hearts which are bound to become one. It seems ACP Additi (Manjari Pupala) may be following the steps of Tia, showcasing her grey shades. Divyanka Tripathi - Reasons Why You Will Always Love The Actress! I am remembering days when you guys use to make fun of Annika & Shivaay & writer’s illogical track. Loved reading those articles sometimes agreeing some not but liked reading them specially episode analysis. Now my question to you are you seriously seeing Jodi & love story in this mismatch 2 actors with copy paste of SHIVIKA story. Funniest thing in the history of ITV in the name of freshness same story is played repeatedly & no media has guts to write a feature on it & question the producer, writer & actors about it. Hope to see some honest reporting from fuzi other than buttering certain channel & PH. A diehard fan of SHIVIKA & loved original Ishqbaaaz. I agree with you. This is boring, copy the same story. I think ishqbaaaz lost it’s charm. It is a dead body now who lost it’s soul. fan of Shivika right, you have a problem with the new couple? 1. question: why don’t move on? And instead of the copy repeat Shivika story (blackmail, engagement, fiancee, marriage, remarriage, forced marriage, misunderstandings) is the Mannat-Shivaansh story fresh.